First it was Polio, nowÂ Bill GatesÂ is eradicating … any inkling of fashion sense he might have had. The sometimes richest man in the world committed what many consider a huge fashion faux pas in St. Tropez. 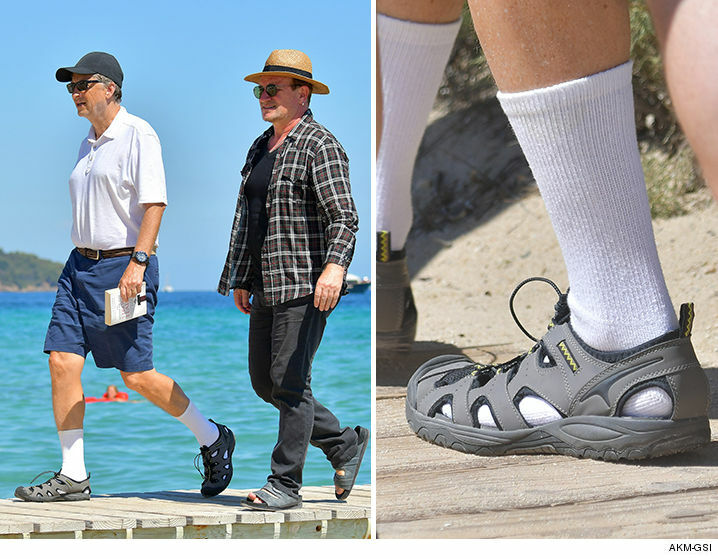 His lunch pal,Â Bono, went sockless in sandals, but Bill opted forÂ the ultimate dad bod kit. GQ, Bill … you can afford the subscription.